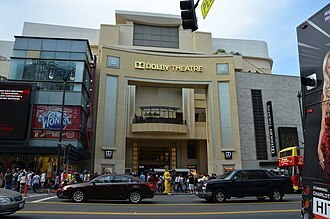 "California Southern" redirects here. For the railroad, see California Southern Railroad. ^ Myers, John. 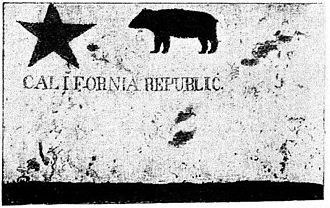 "Radical plan to split California into three states earns spot on November ballot". latimes.com. Retrieved 2018-06-14. 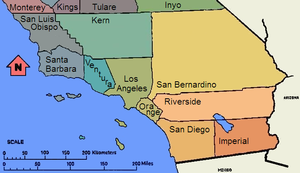 Wikimedia Commons has media related to Southern California. 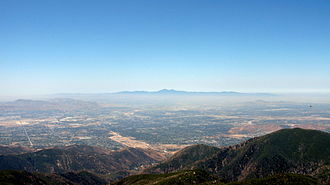 San Bernardino County, officially the County of San Bernardino, is a county located in the southern portion of the U. S. state of California. 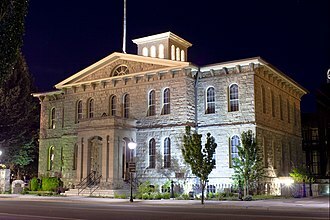 As of the 2010 census, the population was 2,035,210, making it the fifth-most populous county in California, the county seat is San Bernardino. 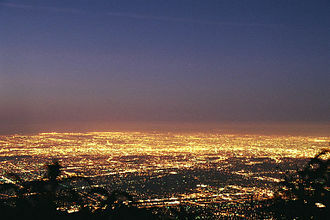 With an area of 20,105 square miles, San Bernardino County is the largest county in the United States by area, although some of Alaskas boroughs and census areas are larger. It is larger than each of the nine smallest states, larger than the four smallest states combined, Spanish Missionaries from Mission San Gabriel Arcángel established a church at the village of Politania in 1810. Father Francisco Dumetz named the church San Bernardino on May 20,1810, the Franciscans gave the name San Bernardino to the snowcapped peak in Southern California, in honor of the saint and it is from him that the county derives its name. 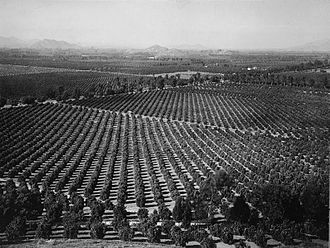 In 1819, they established the San Bernardino de Sena Estancia, following Mexican independence from Spain in 1821, Mexican citizens were granted land grants to establish ranchos in the area of the county. 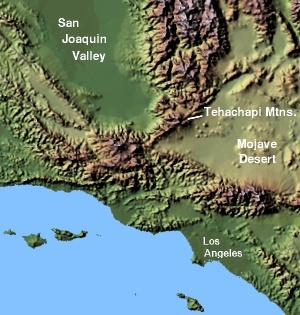 Rancho Jurupa in 1838, Rancho Cucamonga and El Rincon in 1839, Rancho Santa Ana del Chino in 1841, Rancho San Bernardino in 1842 and Rancho Muscupiabe in 1844. 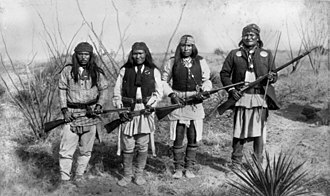 Agua Mansa was the first town in what became San Bernardino County, some of the southern parts of the countys territory were given to Riverside County in 1893. 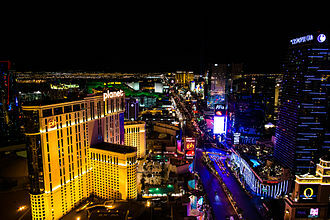 According to the U. S. Census Bureau, the county has an area of 20,105 square miles. 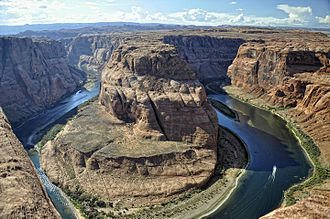 It is the largest county by area in California and the largest in the United States and it is slightly larger than the states of New Jersey, Connecticut and Rhode Island combined. 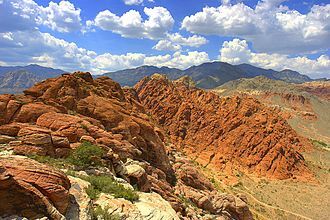 It borders both Nevada and Arizona, the bulk of the population, roughly two million, live in the roughly 480 square miles south of the San Bernardino Mountains adjacent to Riverside and in the San Bernardino Valley. 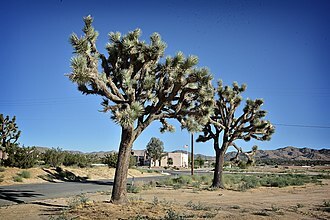 Over 300,000 others live just north of the San Bernardino Mountains, agglomerating around Victorville covering roughly 280 square miles in Victor Valley, roughly another 100,000 people live scattered across the rest of the sprawling county. The California Southern Railroad was a subsidiary railroad of the Atchison and Santa Fe Railway in Southern California. 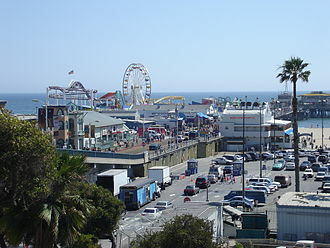 It was organized July 10,1880, and chartered on October 23,1880, construction began in National City, just south of San Diego, in 1881, and proceeded northward to the present day city of Oceanside. The line, completed on November 9,1885, formed the end of Santa Fes transcontinental railroad connection to Chicago. 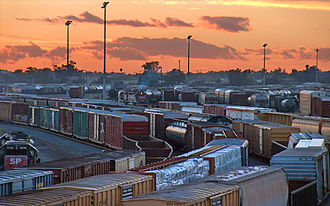 Portions of the line are still in use today as some of the busiest rail freight. 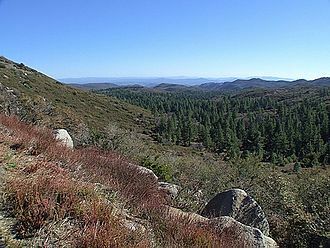 The California Southern was organized on July 10,1880, as a means to connect San Diego to a connection with the Atlantic and Pacific Railroad at an undetermined point. 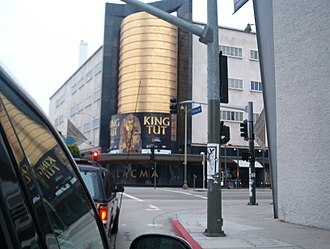 One of the financial investment companies involved in the Santa Fe. Pratt, George B. Wilbur and Thomas Nickerson who was president of the Santa Fe, the California Southern built its track northward from a point in National City, south of San Diego. 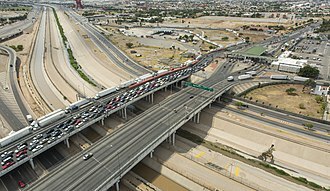 In Barstow, known as Waterman, the California Southern would connect to another Santa Fe subsidiary, from there, the railroad was to continue to the Pacific Ocean following whatever proved to be the best route. 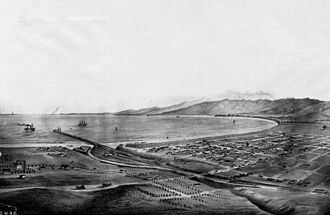 The route was scheduled to be completed by July 4,1878, the Southern Pacific was able to get a clause favorable to their own interests inserted into the charter. 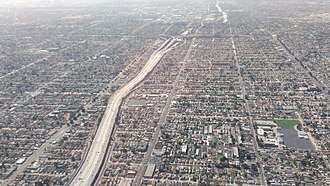 The California segment was leased to the Santa Fe in August 1884, the California Southern began construction in National City on land originally acquired by Frank Kimball. 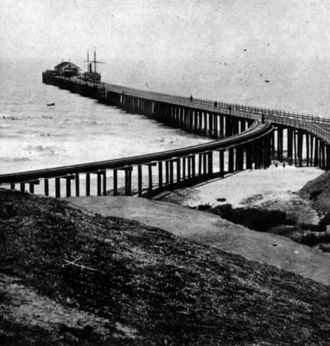 Surveys and construction between National City and San Diego were well underway by March 1881, the railroad reached Fallbrook and opened between there and San Diego in January 1882. 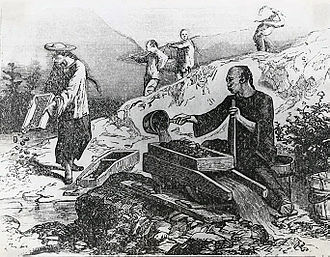 In 1881 and 1882, the California Southern received ten locomotive shipments by sea at National City, the railroad, didnt understand the nature of Southern Californias dry washes. Local inhabitants warned the railroad of the dangers of building such an area, that it could become a raging torrent of water. Despite the warnings, track work through the canyon proceeded at a quick pace and they completed the line to Fallbrook on January 2,1882, to Temecula on March 27,1882. 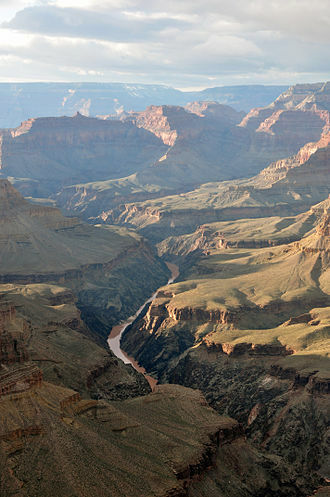 Many parts of the canyon had suffered storms, in February 1884, a storm hit. 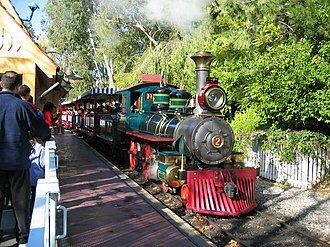 Disneyland Park, originally Disneyland, is the first of two theme parks built at the Disneyland Resort in Anaheim, opened on July 17,1955. 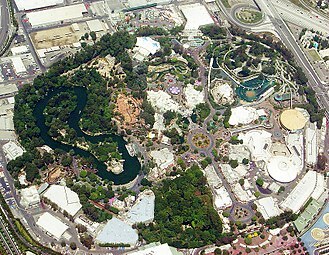 It is the theme park designed and built under the direct supervision of Walt Disney. It was originally the attraction on the property, its name was changed to Disneyland Park to distinguish it from the expanding complex in the 1990s. Walt Disney came up with the concept of Disneyland after visiting various amusement parks with his daughters in the 1930s and 1940s. 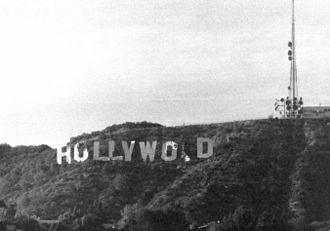 He initially envisioned building a tourist attraction adjacent to his studios in Burbank to entertain fans who wished to visit, after hiring a consultant to help him determine an appropriate site for his project, Disney bought a 160-acre site near Anaheim in 1953. 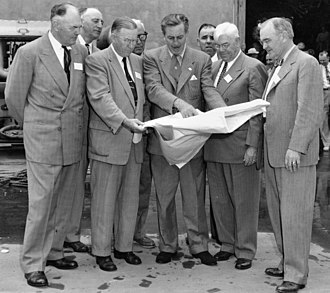 Construction began in 1954 and the park was unveiled during a televised press event on the ABC Television Network on July 17,1955. Opened in 2001, Disney California Adventure Park was built on the site of Disneylands original parking lot, Disneyland has a larger cumulative attendance than any other theme park in the world, with over 650 million guests since it opened. 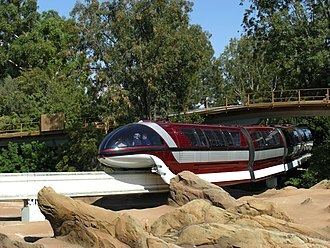 In 2013, the park hosted approximately 16.2 million guests, according to a March 2005 Disney report,65,700 jobs are supported by the Disneyland Resort, including about 20,000 direct Disney employees and 3,800 third-party employees. To all who come to this place, Welcome. 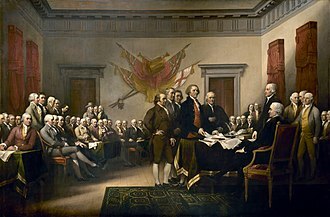 Here age relives fond memories of the past, and here youth may savor the challenge and promise of the future. Disneyland is dedicated to the ideals, the dreams, and the facts that have created America, with the hope that it will be a source of joy. 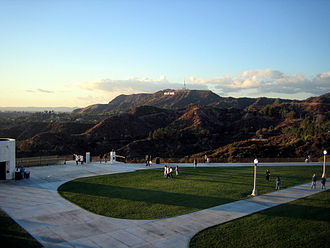 The concept for Disneyland began when Walt Disney was visiting Griffith Park in Los Angeles with his daughters Diane and Sharon. While watching them ride the merry-go-round, he came up with the idea of a place where adults and their children could go and have fun together and he may have been influenced by his fathers memories of the Worlds Columbian Exposition of 1893 in Chicago. Another likely influence was Benton Harbor, Michigans nationally famous House of Davids Eden Springs Park, Disney visited the park and ultimately bought one of the older miniature trains originally used there, the colony had the largest miniature railway setup in the world at the time. 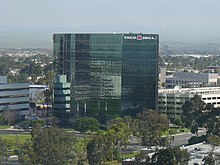 San Diego County is a county in the southwestern corner of the state of California, in the United States. 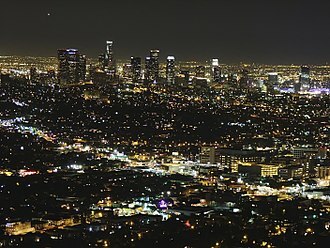 As of the 2010 census, the population was 3,095,313, making it Californias second-most populous county and the fifth-most populous in the United States. 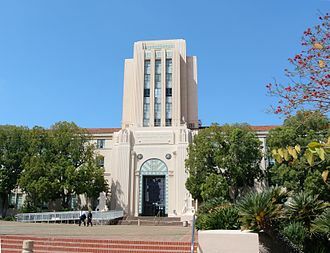 Its county seat is San Diego, the eighth-most populous city in the United States and it is the south-westernmost county in the 48 contiguous United States. 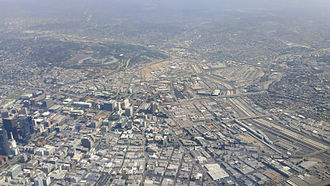 San Diego County comprises the San Diego-Carlsbad Metropolitan Statistical Area, San Diego is part of the San Diego–Tijuana metropolitan area, the largest metropolitan area shared between the United States and Mexico. 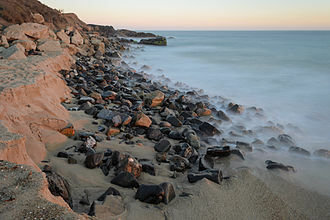 Greater San Diego ranks as the 38th largest metropolitan area in the Americas, San Diego County has 70 miles of coastline. 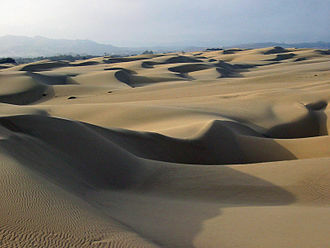 Most of the county has a mild Mediterranean climate to climate, though there are mountains that receive frost. 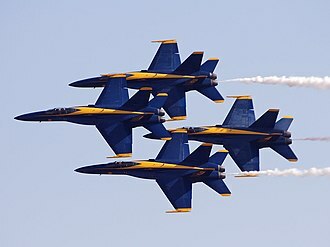 There are 16 naval and military installations of the U. S. Navy, U. S. Marine Corps, and these include the Naval Base San Diego, Marine Corps Base Camp Pendleton, Marine Corps Air Station Miramar, and Naval Air Station North Island. 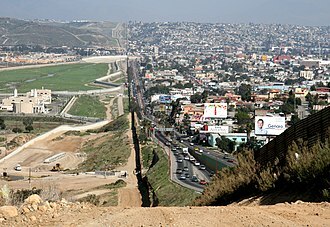 From north to south, San Diego County extends from the borders of Orange County and Riverside County to the Mexico–United States border. 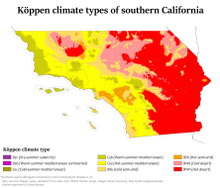 From west to east, San Diego County stretches from the Pacific Ocean to its boundary with Imperial County, the area which is now San Diego County has been inhabited for more than 10,000 years by Kumeyaay, Luiseño, Cupeño and Cahuilla Indians. 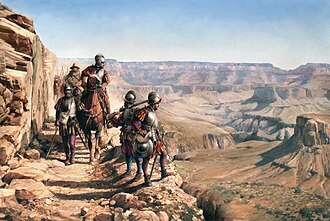 In 1542, the Portuguese-born explorer Juan Rodríguez Cabrillo, sailing for Spain, claimed San Diego Bay for the Spanish Empire, and he named the site San Miguel. 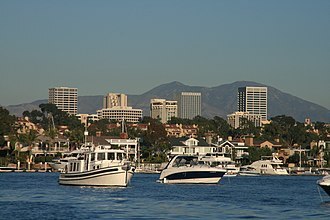 In November 1602, Sebastián Vizcaíno surveyed the harbor and what are now Mission Bay and Point Loma and named the area for Saint Didacus, a Spaniard more commonly known as San Diego. 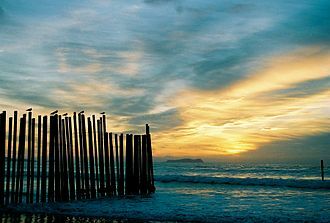 European settlement in what is now San Diego County began with the founding of the San Diego Presidio and Mission San Diego de Alcalá by Spanish soldiers and this county was part of Alta California under the Viceroyalty of New Spain until the Mexican declaration of independence. 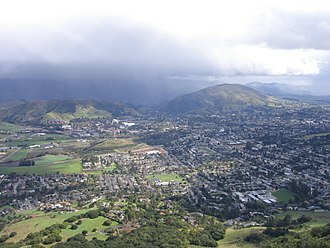 San Luis Obispo County, officially the County of San Luis Obispo, is a county located in the U. S. state of California. 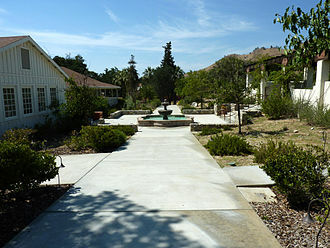 As of the 2010 census, the population was 269,637, the county seat is San Luis Obispo. 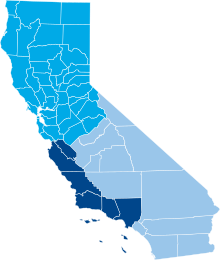 San Luis Obispo County comprises the San Luis Obispo-Paso Robles-Arroyo Grande, the county is located along the Pacific Ocean in Central California, between Los Angeles and the San Francisco Bay Area. 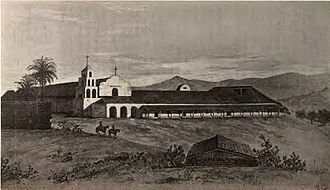 Father Junipero Serra founded the Mission San Luis Obispo de Tolosa in 1772, the mainstays of the economy are California Polytechnic State University with its almost 20,000 students and agriculture. 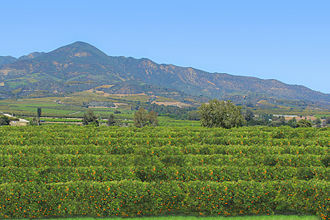 San Luis Obispo County is the third largest producer of wine in California, surpassed only by Sonoma, wine grapes are the second largest agricultural crop in the county, and the wine production they support creates a direct economic impact and a growing wine country vacation industry. 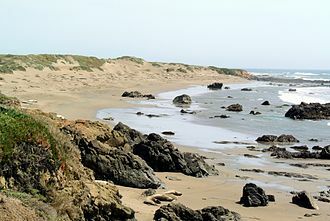 The town of San Simeon is located at the foot of the ridge where newspaper publisher William Randolph Hearst built the famed Hearst Castle, other coastal towns include Cambria, Morro Bay, and Los Osos -Baywood Park. 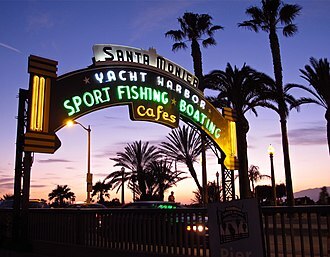 These cities and villages are located northwest of San Luis Obispo city, and Avila Beach, just south of the Five Cities, borders northern Santa Barbara County. 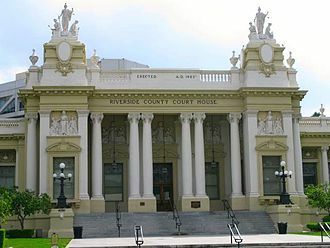 Inland, the cities of Paso Robles and Atascadero lie along the Salinas River, San Luis Obispo lies south of Atascadero and north of the Five Cities region. 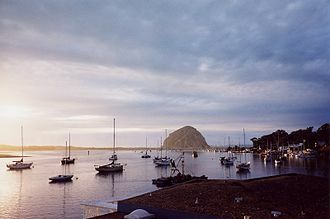 Important settlements existed, for example, in coastal areas such as Morro Bay. Mission San Luis Obispo de Tolosa was founded on September 1,1772 in the area that is now the city of San Luis Obispo, the namesake of the mission and county is Saint Louis of Toulouse, the young bishop of Toulouse in 1297. San Luis Obispo County was one of the counties of California. 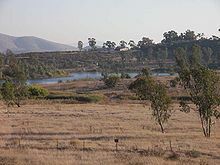 The Salinas River Valley, a region that figures strongly in several Steinbeck novels, the remote California Valley near Soda Lake is the region most untouched by modernity. Travels through this area and the hills east of highway 101 during wildflower season are very beautiful and can be incorporated with wine tasting at local vineyards. California Southern's original station in San Diego. This station was demolished and replaced in 1915 by what has come to be known as Union Station. The station and yards at San Bernardino in 1915. A year later, the station was destroyed by fire. A westbound train pauses at Cajon siding to cool its wheels before continuing down the pass in March 1943. The station and facilities are at left. A Santa Fe train working through Cajon Pass in March 1943.